There are many companies that offer final expense insurance. Among those companies are MassMutual and State Farm. 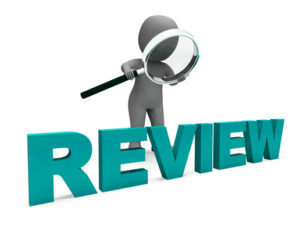 In the following review, we will cover the different final expense plans offered by each. Today, we are going to continue with a direct comparison between the guaranteed acceptance life insurance offered by MassMutual and the final expense insurance option offered by State Farm. Of course, these are two great companies, each with its own storied history. But which one suits your scenario better? At the end of this, you should be in a stronger position to decide! Founded back in 1922, State Farm was launched by a former insurance salesman with the aim of doing ‘the right thing’ for all customers. Since then, this mission has been the focal point for nearly a century and now the company is known for being a ‘good neighbor’. As well as life insurance, State Farm offers home insurance and car insurance. Over time, all these services and an increase in customers has led them to the top 50 within the Fortune 500 list of companies. Currently, State Farm is believed to have 18,000 different agents who serve over 80 million accounts and policies. With a much longer history, MassMutual has already celebrated its 165th anniversary after being founded way back in 1851. Throughout this time, they have had one main focus which has been protecting the loved ones of the policyholders and securing a future for all. According to MassMutual, this key principle is behind every decision they make and everything they do. As a mutual company, they have no shareholders which means that the policyholders share ownership and sometimes see the benefits of this through dividends. Before looking into the main products we are assessing today and their many pros and cons, we should first see the official ratings of both companies. If you know that the company is in good shape, your investment will be significantly safer. Starting with State Farm, they received an A++ rating from A.M. Best in 2016 – this is equivalent to a ‘Superior’ rating. According to their financial size category of ‘XV’, they have a value of over $2 billion with a stable outlook. With this in mind, you can be happy that State Farm can and will pay out for claims whenever necessary. As well as being able to do this now, they also have the financial security to do this in the future. Within the report, each company is also given a long-term issuer credit rating and State Farm achieved ‘aa+’ and a stable outlook once again. Essentially, this means that they are in a superior position to meet all ongoing senior financial obligations. With these two ratings alone, we can see that State Farm is in a very strong position financially which should give you confidence if you were to choose their product. If you were unaware, the Better Business Bureau (BBB) assesses a business and its ability to interact with clients. For you, this may be important just in case you have any issues or questions. Although State Farm is not accredited with the BBB, they have been awarded a rating of ‘B’. If we compare this to other insurance companies, it is actually quite poor. Taking into account thirteen different factors, the BBB gives all businesses a score out of 100. With a rating of ‘B’, this puts State Farm between 84 and 86.99. With the BBB rating, it is all relative because a score of at least 84 out of 100 is actually quite positive considering the scale goes all the way down to ‘F’ and a rating of zero. However, you would expect a better score for such a large company. Within the market, you will find numerous companies who can achieve a rating of ‘A’ (including + and -). Now we have seen the two ratings for State Farm, how does MassMutual compare? Once again, we will start with A.M. Best seeing as though this is one of the main ratings people consider. With a ‘Superior’ rating of ‘A++’, MassMutual is just as strong as State Farm financially and this is something you would expect considering their longer history. For long-term ratings, they were also awarded with an ‘aa+’ rating which shows that they are equally able to pay claims both now and long into the future. As we saw with State Farm, MassMutual are not accredited by the BBB but they do still give a rating and it is significantly better. With a rating of ‘A+’, their score on the scale of 0-100 falls above 97 which is impressive to say the least. As we said previously, this is why the rating of State Farm is a little surprising to many because the largest life insurers tend to score in the nineties at least. With an A+ rating, you can be sure that MassMutual will listen to any concerns you have before then addressing them immediately. With the official ratings from A.M. Best and the BBB, what information can we glean? First and foremost, it should be said that both companies are in fantastic financial positions so there are no concerns in this regard. If this is an important factor for you, both companies are in a superb position so you can look towards the other factors for more clarity in a decision. In terms of the Better Business Bureau reviews, there is a bit of a difference. With MassMutual, they clearly communicate with customers and make themselves available wherever possible. With State Farm, the picture is not so clear so you might want to conduct a little extra research here. Just as you would when buying anything else online, read some previous customer reviews, talk to friends, and find people who have had dealings with State Farm previously. Considering they are near the top of the life insurance market, this suggests that there shouldn’t be any concerns but you can never be too careful. With the official ratings and basics done, we can now look in more detail at what each option offers. With the final expense accounts made available by State Farm, it is an insurance policy that allows a certain amount of money to be left behind for loved ones after passing away. With this, the family have money to pay for funeral expenses and whatever bills that may arise rather than trying to find the money themselves. With this policy the death benefit is fixed at $10,000 and will be given to your chosen beneficiary after passing. After receiving the amount, the beneficiary is then in control of where the money is spent. When first setting up the account, you will need to be between the ages of 50 and 80 to qualify for the $10,000 coverage. Once in place, it will remain active until the age of 100 as long as you continue to pay the required premiums. Throughout, you know that the policy is secure and you will even have a chance to choose between whether you want to pay annually or monthly. If you have the money available, it will be cheaper to pay per year because you won’t have to pay the interest that comes from breaking the premium down into twelve chunks. With the final expense account, you will also have a cash component that grows without the burden of tax. Ultimately, you remain in control of the money and you decide whether or not to use the benefit towards burial expenses after your death. With this policy, you will also be in a position to earn dividends (they are not guaranteed in any way). If you do happen to receive dividends, you could use it to accumulate interest, reduce premiums in the future, purchase additional insurance, or even receive it as cash. Regardless of your method, it can be a great little bonus if it comes. Once again, the main aim of this policy is to have the final expenses of your life covered including any debts, funeral expenses, or medical bills. As the name suggests, unlike simplified issue life insurance, guaranteed acceptance life insurance is guaranteed. However, the first two years will see your death benefit limited somewhat. However, it can be a good choice depending on your scenario and it will give you peace of mind knowing that your family will be protected once you pass away. With coverage between $2,000 and $25,000, the rates are affordable and they will remain steady throughout the duration of the policy. As long as you are aged between 50 and 75, you can go through the application process without the need for a medical exam or questions. All things considered, this means that you cannot be declined coverage for any health reasons. Just like State Farm, MassMutual will look after your death benefit as long as you continue to pay the premiums. Finally, the death benefit will be given to your chosen beneficiary when you pass away so you need to decide what amount will best cover all of the costs that will arise. If the amount does not cover the expenses, there is nothing the insurance company can do as you will have set the amount of coverage you require. In just a moment, we will take you through the pros and cons of choosing each option but we should preface our comments first. As we have said many times before, finding the best life insurance for seniors is a very unique choice and the ideal policy for one person could be the worst option for someone else. For this reason, you need to consider what is important for you before making any big decisions. If you don’t take your own circumstances into account, you could be left with a policy that doesn’t work for you. As long as you consider your own needs first, you can get the most out of your policy. If you are leaning towards State Farm, the first factor you should probably consider is whether the $10,000 death benefit will be enough. Currently, there is no way to adjust this death benefit so the policy will be no use if you have significant debts or are expecting high medical bills. If you only have the funeral expenses to cover, $10,000 should be a perfect amount as this is actually the average cost of a funeral today and perhaps why State Farm offers this exact amount. In terms of age, you need to be between 50 and 80 which shouldn’t be a problem and the policy will remain in place until you reach your 100th birthday. With the positive financial ratings we saw previously, you can be confident that your claim will be paid out to your beneficiary with very little resistance. With State Farm, you also have the freedom of choosing whether to pay monthly or annually and this is another benefit. With some insurance firms, you are limited with your choices but the annual payment allows you to bypass the interest that normally gets added on for essentially ‘loaning’ you the coverage month-to-month. However, there is one huge advantage to choosing State Farm that we haven’t yet discussed – the cash component. Over time, this will build and you will have opportunities to use this money however you wish. If you set up the policy in your fifties, you will have a decent chunk of money ready for your retirement. If you need money sooner, you may even be able to take out a loan and use this money as security so you have quite a lot of freedom once the policy is in place. Finally, we should also point out that there is a chance that you could be earning dividends. In truth, it seems as though ‘freedom’ is the key word for a State Farm final expense account – freedom of when you wish to pay, how you want the death benefit to be used, what to do with the cash component, and even how to use your dividends. As a policyholder, you should be interested in the profits of the company because you could earn some. With this money, you can receive a nice cash bonus or use it to reduce your premiums in the future. As noted previously, this policy is a no-go immediately if you require more than $10,000 as a death benefit. If you need to cover funeral expenses as well as debts and medical bills, your loved ones might struggle to pay all of this with the $10,000 death benefit. If we were splitting hairs, we should also point out the BBB rating for State Farm since we are comparing this policy directly with the one from MassMutual. If you are trusting a company with your money, you need to have the confidence to approach them with any problems or questions that arise. With State Farm, you might be put off by the fact that they are significantly less approachable than MassMutual (according to the BBB). If you have already decided that State Farm isn’t a viable option for you, we should also look into the pros and cons of MassMutual. To start, the death benefit is flexible; something you just don’t have with State Farm. Previously, we discussed whether $10,000 was too little but what if it is too much? If you just have a couple of small debts to cover and you have already put money aside for your funeral, you might want as little as $2,000 and this is where MassMutual starts with its coverage. At the upper limit, you can also receive up to $25,000 which is two and a half times the amount available with State Farm. After this, you also won’t need to take part in a medical examination which makes MassMutual a superb option if you have previously been denied by another insurer because of your health. Because it is guaranteed issue, you also don’t need to answer any questions relating to your health so you will receive coverage regardless of your condition. As we start to get older, this is something that many people worry about so MassMutual is popular among this niche. Finally, your death benefit and premiums will remain exactly the same as long as you keep up with your regular payments. With some options, the death benefit can fluctuate and you can also see an increase in premiums as you get older. In the interest of full disclosure, we also need to take you through the drawbacks of choosing MassMutual. First, the fact that there is no medical examination means that you might end up paying more money than you would with the exam. If you think about it, no medical exam or questions means that the company is getting no information from you regarding your health. For this reason, they have to protect their investment and they do this with two methods – increased prices is the first and the second leads to our next drawback. In the first two years of your policy there is a graded death benefit limitation. Essentially, this means that the full death benefit will not go to the beneficiary if you pass away within the first two years of the policy. If you are seriously ill, there is a danger of you losing your investment until you finally pass the two year mark at which time the death benefit is fully activated. If you aren’t expecting to die within the first two years of the policy, this isn’t necessarily something you should worry about. Again, we are pushing the boundaries of ‘drawbacks’ a little here but you could also say that the upper age limit of 75 can be a disadvantage. If you are between the ages of 75-80, the opportunity for a MassMutual policy will have disappeared. However, this is completely irrelevant if this age is a long way away. As you can see, both companies have their merits as well as their pros and cons. The good news is you have options. If you need final expense insurance to cover your funeral expense and burial costs, then make sure you consider all your options. At TermLife2Go, we can point you to the right company that fits your specific need. So, what are you waiting for? Give us a call today or simply visit our Final Expense Life Insurance Quotes page and instantly compare final expense quotes from dozens of different life insurance companies. I like the way you laid out the pros and cons of each policy option here. This is a great way to help consumers understand each type of insurance. Do you guys sell the states farm policy you mentioned in this article? Unfortunately, to the best of our knowledge, in order to be able to “sell” a State Farm insurance product, you need to be a “captive” State Farm insurance agent. Which means that you can ONLY sell State Farm insurance products. And while this isn’t necessarily a terrible thing, in our experiences here at TermLife2Go, we’ve found that there simply isn’t a “one size fits all” solution for everyone when it comes to purchasing that “perfect” life insurance policy. This is why we’ve chosen to remain an independent agency that is able to work with dozens of different life insurance companies. If you are interested in purchasing a State Farm Life Insurance policy, we would recommend that you give them a call, then once you’ve learned what they have to offer, give us a try and see if one of the many companies that we represent may have a better option specifically for you. Previous Post: Qualifying for Life Insurance after being Diagnosed with Bone Marrow Failure.